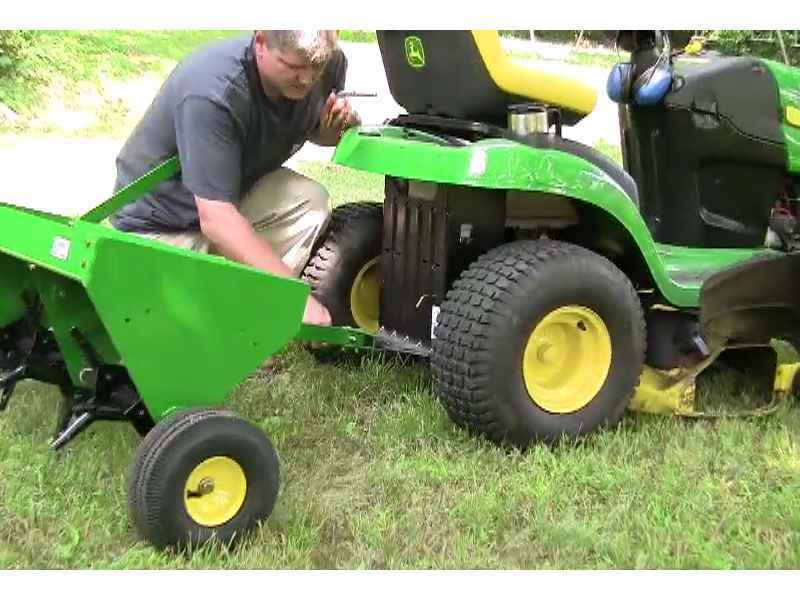 In this video episode of The Handyguys Podcast we show you some aeration, hauling, bagging and other attachments that can add significant value and utility to your lawn tractor. The key thing in using this aerator is to have weight on it. It also helps if your ground is moist. The Deere bagger does a great job picking up the clippings. It’s a little awkward to put on the first time so have a helper. Once you do it a few times it will become much easier. We have used the Deere cart for hauling firewood, branches, tools, lumber and many other things. It works well, is lightweight and it wont rust. We put on a bumper on one of our evaluation tractors. The bumper protects the front of the tractor. 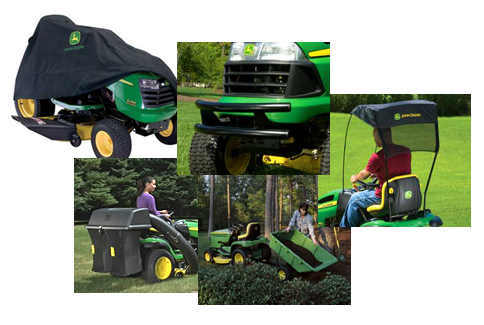 If you are going to store your tractor outside you should cover it. Yeah a tarp will do but a fitted cover will less likely blow away and it looks good.